As the calendar turned from 2012 to 2013, we put together 13 predictions for 2013, with each focused on one of the three major sports. Tallying the scores for basketball and baseball leaves us just 1-4 (1 remaining), with the only win being notched for something Clemson did NOT accomplish: Omaha. As football season beckons, it’s time to revisit the remaining 7 predictions, and re-predict whether our original predictions will come through. Predicting Chad Morris to leave before the end of 2013 is like a swing pass: an easy toss to get yourself in rhythm. In 2012, Morris tested the head coaching waters, speaking with such schools as NC State (reportedly) and Texas Tech (confirmed). In the end, he returned to Tiger Town motivated to make the Clemson offense better, and faster, than ever. If he succeeds, and Clemson fans hope he does, he will most certainly move on to be his own boss. While predicting Chad to head for greener pastures pretty easy, predicting Nuk to forego his senior year was a little harder. As the new year dawned, both Tajh Boyd and Nuk Hopkins were waiting to hear from the NFL regarding their draft paperwork. Both were expected to receive solid, but not spectacular grades. And when the prevailing thought is 1st round or return, the thought was maybe both would come back to campus. On the 9th day of 2013, Tajh decided to return to Clemson for his senior season. 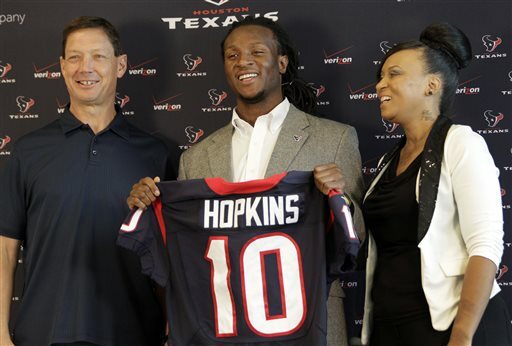 The next day, Hopkins went the other route and declared his intentions to enter the draft. A few months later, Hopkins was selected in the 1st round by the Texans. This prediction is not that Sammy returns for his senior season, but that he returns to his freshman form. Last year was tough for Watkins and he never seemed to get in rhythm. Most of it was his own doing, but the rest just part of being an athlete. Leading up to the LSU game, all indications were Sammy would be a primary focus of the offense. Two plays later he was writhing in pain. For this season to be special, and for this prediction to ring true, Clemson needs Watkins to be fully healthy, fully in sync with Boyd, and fully focused on being the best. If those three things fall in place, both Clemson and Watkins could rewrite the record books. Gamblers will tell you "Never bet with your heart, only your head". For this prediction, I should have listened. While the Clemson defense will be better in 2013 (not much of a reach here), we were expecting the linebacking corps to be stocked. The returning starters, Parker and Townsend, along with the transfer of Kellen Jones and the recruitment of Ben Boulware and Dorian O'Daniel would elevate this unit to one of the teams strengths. After seven months to ponder this prediction, and watching Townsend transfer and Parker retire, I don't foresee it coming true. 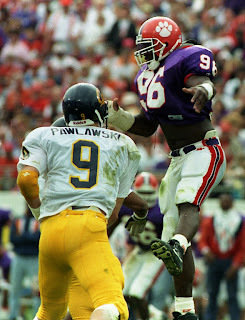 At least not to the level that people would start throwing around Linebacker U claims. Even at their best, this unit won't bring the fear of those Penn State teams, or of Clemson's pseudo Linebacker U claims of the late '80s and '90s. Clemson has never had someone invited to attend the Heisman ceremony. For years, this team was too focused on defense to garner anyone the national attention needed to sway voters. When Bowden arrived, so did the offensive accolades. However, those Clemson teams weren't strong enough to propel Dantzler or Spiller to NYC. This year, that is not the case. Clemson starts in the Top 10, opens with a nationally televised Top 10 matchup, and has 2 other potential Top 10 matchups. Because of Boyd's great 2012, he comes into the season atop a few Heisman polls. Because he already has the national attention, he only needs to replicate his 2012. If he can do this, or come close, he would be strongly considered. If Watkins is able to be explosive like his freshman year and consistent like Hopkins last year, then he too would be strongly considered. Ultimately, how these guys perform in the three marquee games (UGA, FSU, USC) will determine their fate. Assuming they play well in 2 out of 3 of those games, they'll both be in solid position to wear another slick bowtie. Usually, when no bowl game is predicted, it is because of the potential for a bad season or pending NCAA sanctions. With Clemson's talent, they are not at risk of the former and Dabo has continued the work Bowden started to prevent the latter. As such, this prediction calls for Clemson's next bowl game to be in 2014, not 2013. What makes this sticky is the ACC only has one bowl game on New Year's Day or later, their ACC Champion slot in a BCS bowl. This whole prediction hinges on the FSU game. 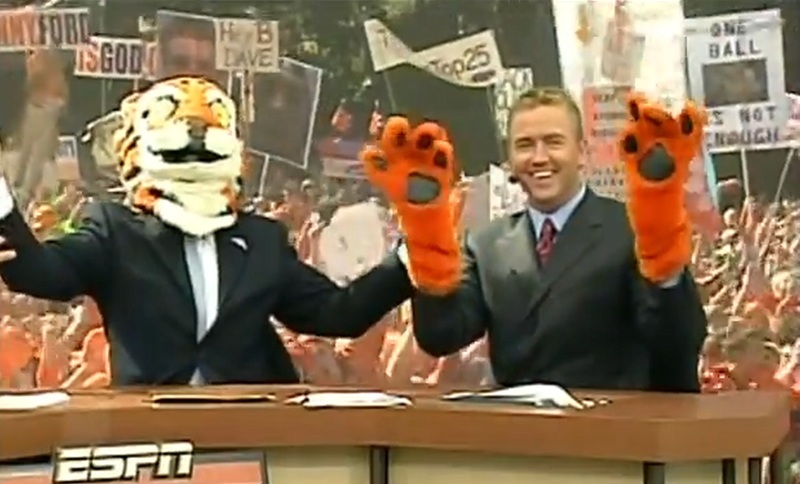 Considering they haven't won in the Valley since 2001, Clemson has the upper hand. When this prediction was first penned, ESPN's College Gameday had not confirmed their opening weekend locale. Clemson-Georgia was known to have a strong chance, but so did Alabama-VT and LSU-TCU. If Clemson lost out on the Georgia game, their only other opportunity would be when FSU rolls to town. If we go 5-7 with these predictions, then 2013 could be one of the most enjoyable season Clemson fans have ever experienced. If we get a sixth prediction correct, then Clemson would be in line to have a special season. If all seven fall, then the 10 SEC teams without their own rings will need to find someone else to brag about. What are your thoughts? How many predictions will come true? Let us know in the comments and by voting in our poll.